Bright yellow, with a bit of green at the tip. And wear it there all day. I must put up my childish ways. 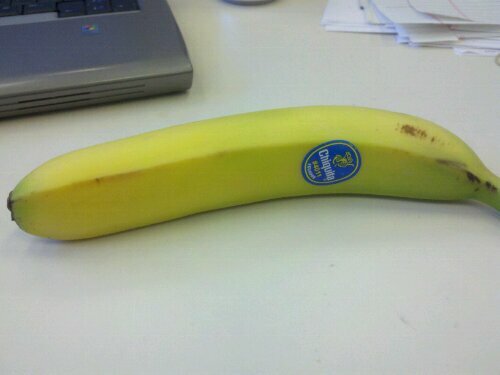 My sticker will go with the peel. Is good for a mid-morning snack.